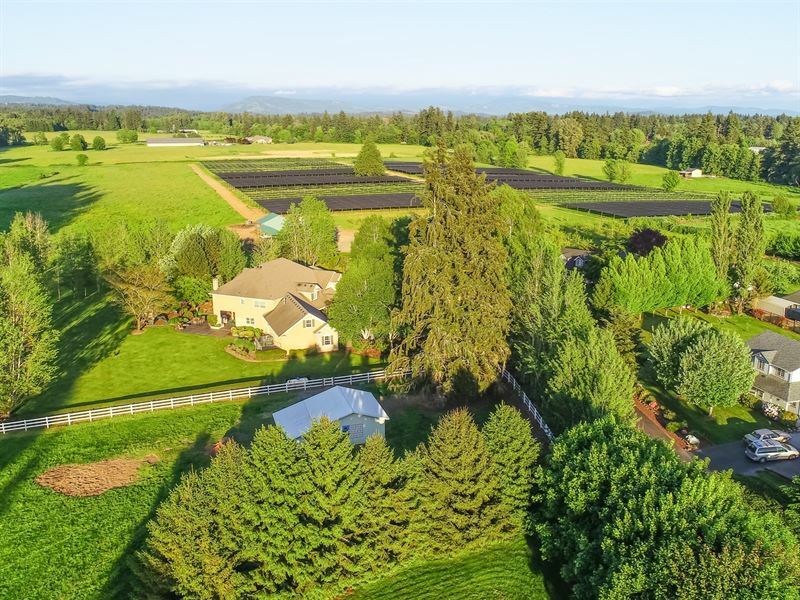 Premium Certified Organic Medicinal Herb Farm on a 54 acre estate with a luxury home. Goldenseal, Ginkgo and Ginseng. Full production facility on site with the state of the art washing & drying facility which is totally compliant with the FDA and related regulations. Approximately of certified organic crop in the ground currently and the room to add another 10 acres representing an additional million plus of product. Ginseng and Goldenseal are 4 year crops and are rotated in a 4 year cycle. Each acre generates 00- 25K of revenue in each 4 year cycle. Currently the farm is harvesting 2 acres of crop per year and replanting two acres. Certified Organic crops generally bring in 2 times the revenue over non certified crops. Purchase orders for entire fall crop in place by March of each season from a strong customer base. Farm equipment included. Lunch room & bathroom area for employees and laundry facility for staff in Production room. Great seasoned and trained staff for farm and home maintenance. Large equipment Barn with Lean-to's. Gorgeous 5700 Square Foot Custom Home. 4 Bedrooms, dramatic open Beamed Cathedral ceilings, floor to ceiling stone fireplace with raised hearth. Huge picture windows. Spacious kitchen with tile floors and Granite countertops, Walk-in Pantry, Dacor Double ovens and 6 burner cooktop. Sub Zero Refrigerator and large nook area. Oversized Formal Dining Room with Crown molding & wainscoting. Family room with hardwood floors, built-in cherry cabinets and a wet bar. Master suite with sun room/exercise room, large walk-in closet with built-ins, heated tile floors in bathroom, jetted tub and walk-in steam shower. Bonus/Billiards room with 9 foot ceilings and wet bar. Upstairs living with 3 large bedrooms, media room, attic storage and large finished storage room. Beautiful outdoor living with covered outdoor patio and built-in wood fireplace & propane Bbq. Koi ponds and lovely gardens. All of this on over 54 acres.... 2 tax parcels. City water for Home & well water for Home Sprinkler System and Farm Irrigation.